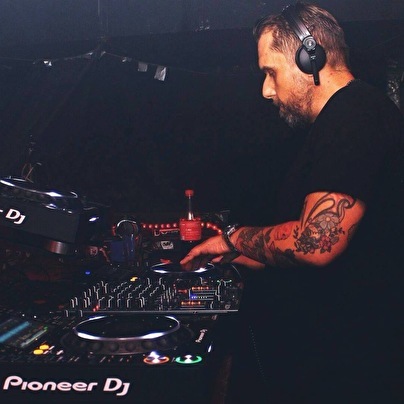 Holger Nielson, originally born in the South of Germany, began his DJ career in the first days of the emerging Berlin techno scene. Since then, Berlin has been his home and mainstay as he grew that into club residencies, record labels, and beyond. Using his alter-ego "Holgi Star" and his label Kiddaz.fm, Holger had worldwide success early on and was touring regularly. From Brazil and other parts of South America to Japan, Europe, Russia, and Ukraine, there were few places in the world he did not tour. Later in his career, Holger felt that it was time for something new and decided to further his sound with a new, purer techno persona, thus "Holger Nielson" was born. Partnering with his DJ colleague Dekai, they created the techno label Ragnarøk to serve techno in a dark style, but with a dance attitude. Ragnarøk was well received, resulting in huge label nights in both Berlin and the rest of Germany. In addition to this project, Holger also runs the label and agency District4 with his old partner DJ Emerson (CLR) a project that showcases another side of techno featuring acts like Thomas Hoffknecht, Aleja Sanchez, and Deas just to name a few. Both influences together embody Holger's sound; a great mélange of straight "four to the floor" techno ,in which you hear and feel his long experiences, and his 20 Years of always being in the middle of techno's ever changing landscape.